TSX Index has a positive technical profile and is trading above the 200-day average with the 50-day average above the 200-day. We are now waiting for a resolution of the consolidation zone with the bias to the upside. 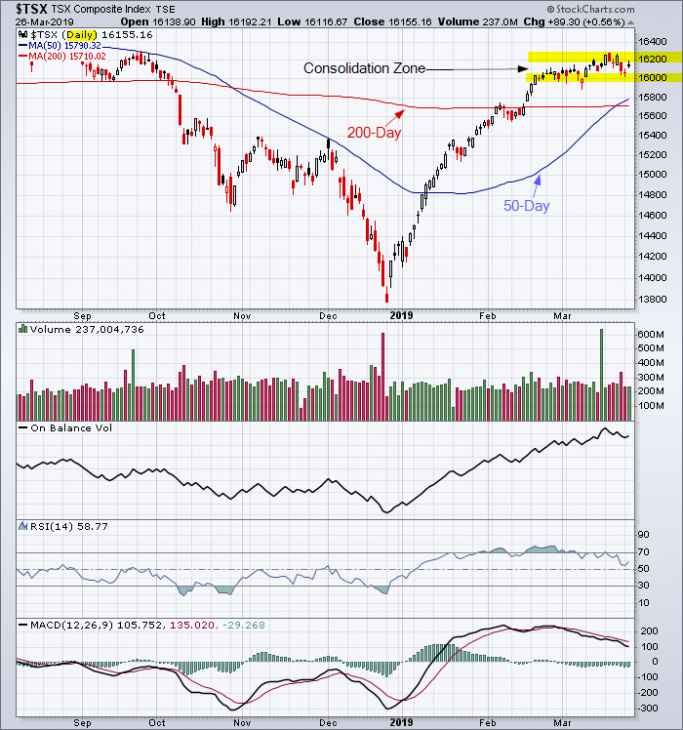 This entry was posted in TSX Index on March 26, 2019 by Trader.